My last show of this season was VIN + OMI’s collaboration with Michelle Violy Harper and honestly, I couldn’t have asked for a better end to AW17. 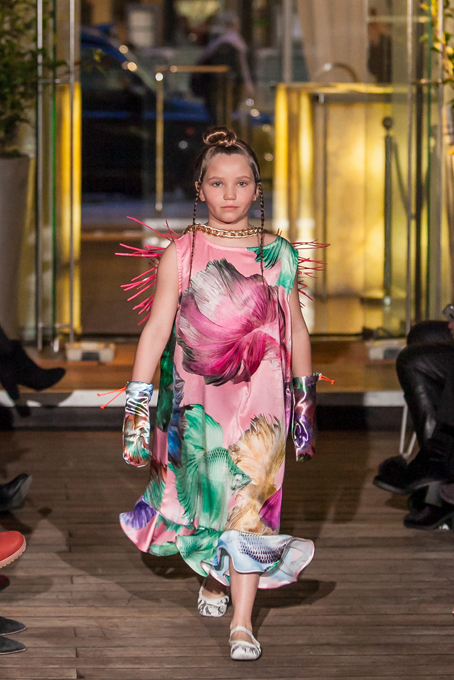 Their collection entitled ‘SUBMERGE’ took place around the Sanderson London, with models walking two small runways within the Perrier-Jouët enchanted garden, before proceeding through to the drinks area and embarking on a loop outside. This season, the designs were as whimsical and fabulous as ever, however, with Michelle as their muse, VIN + OMI developed new silhouettes and new fabrics. Michelle is deeply inspired by the underwater world, and in accordance with that, VIN + OMI have created fabrics made from recycled plastic collected from the ocean. To continue with an environmentally friendly approach, they also incorporated silks, sustainable latex, and wool into the collection, showing that exciting fashion needn’t be detrimental to the environment. Throughout their career, VIN + OMI have always shown an interest in new methods of fabric production, so they have continued with that mission statement for this, their 10th collection. The pieces are avant-garde, allowing something extraordinary and fantastical to be presented with each look. The collection fluctuates between lightweight and heavy; pastel shades and bright hues; 2D prints and 3D art. ‘The collection is for that international creative, art-loving woman, with a sprinkling of menswear in there too,’ state VIN + OMI. ‘Global temperatures are changing and people are jumping on planes more often. Seasonal collection needs to reflect this,’ they add. 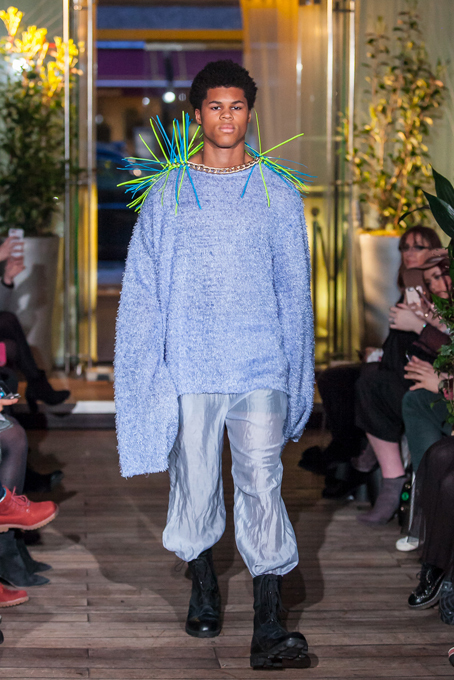 ‘I was drawn to their work because they push boundaries and are able to explore and translate not only concepts but also feelings’, clarifies Michelle, when asked about why she chose to work with VIN + OMI. ‘I do not feel we need more of the same, and I believe the collection proves that there is more to offer, that through clothes one can ignite a compelling conversation,’ she continues. Indeed, this joint venture has proven that successful fashion is about much more than staying on/being ahead of a trend. 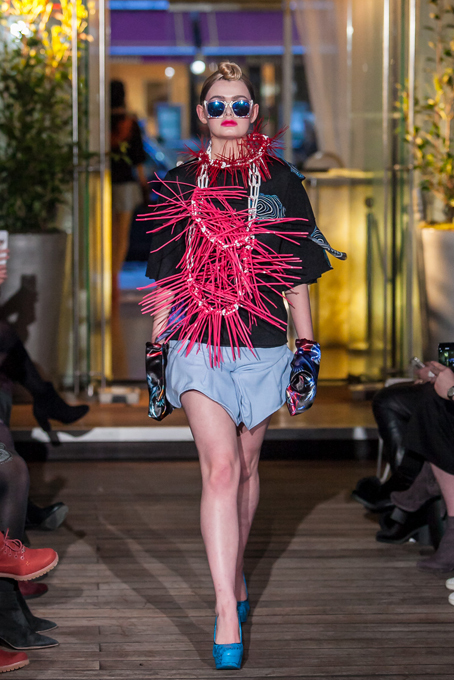 It’s about promoting an idea, a concept, or a vision for a better world and by creating this sustainable collection, VIN + OMI and Michelle Violy Harper have done exactly that. Here’s to many more fashionable steps towards change!